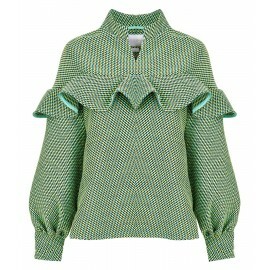 An elegant, green blouse with flounces AW17 LOOK 24 Poca & Poca derives inspiration from natural beauty of flowery meadows. 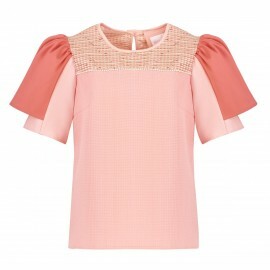 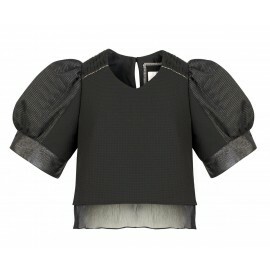 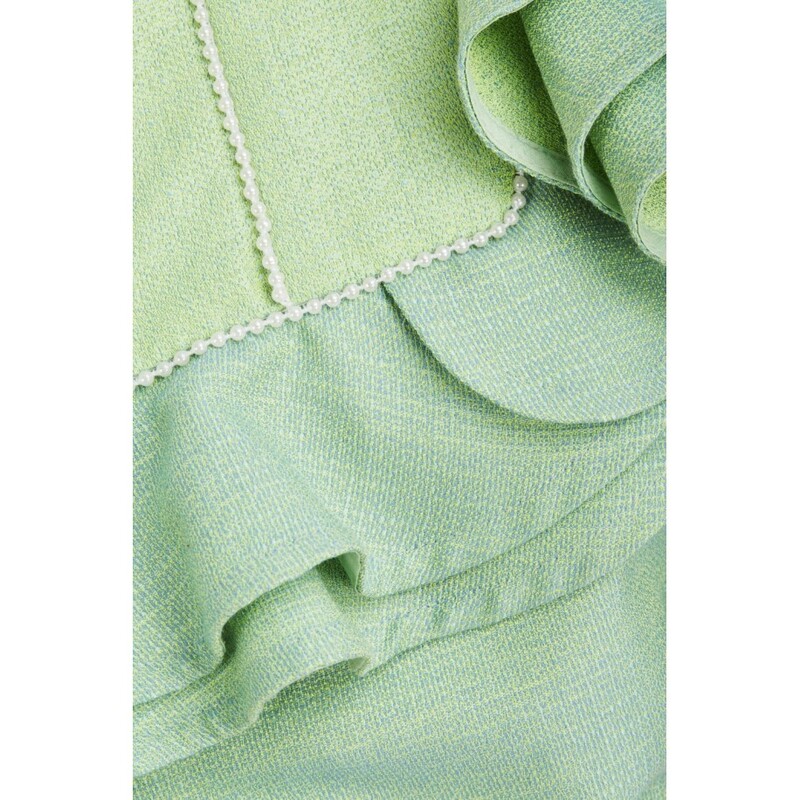 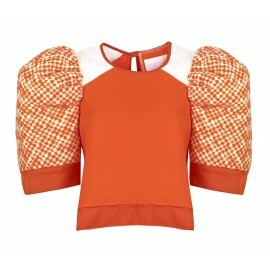 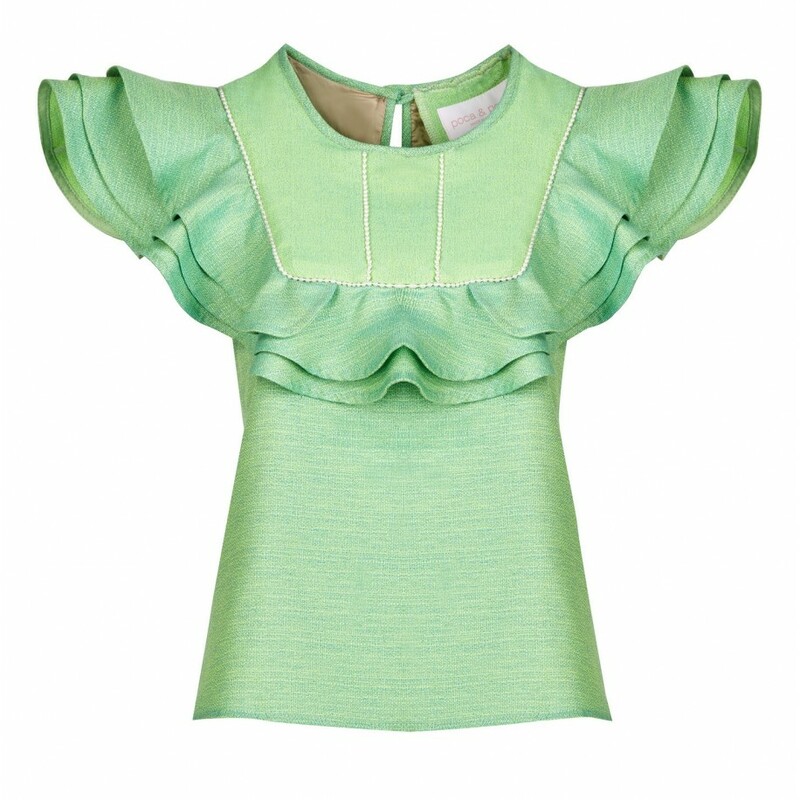 The blouse has a simple cut that is subtly wider at the hipsline. 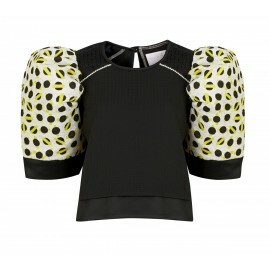 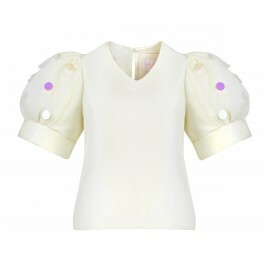 The cut is contrasted by a top part which is made of a brighter fabric and richly decorated with fine, white pearls. 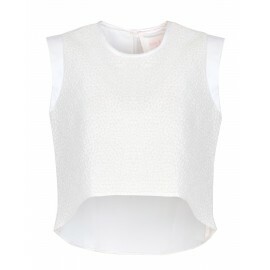 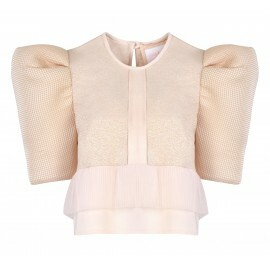 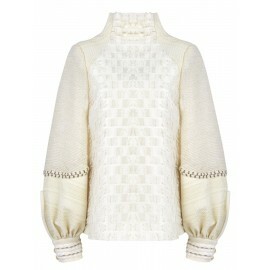 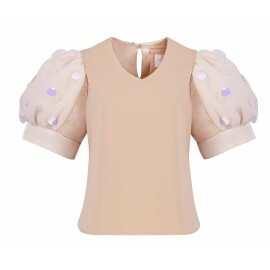 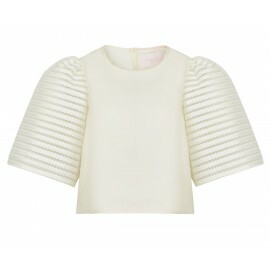 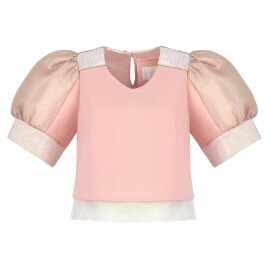 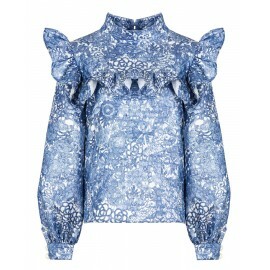 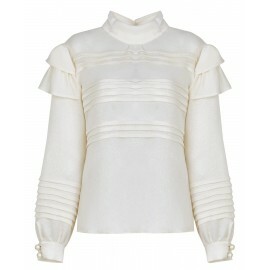 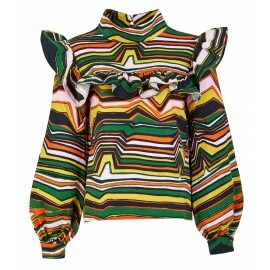 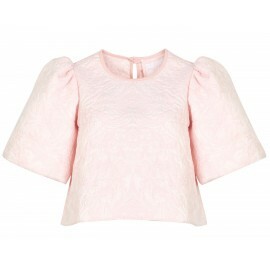 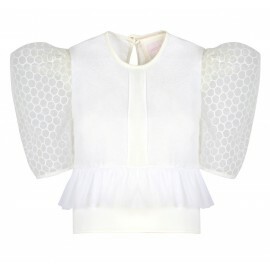 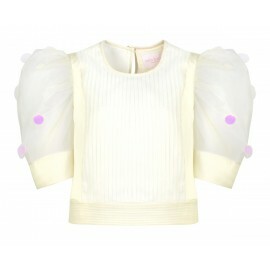 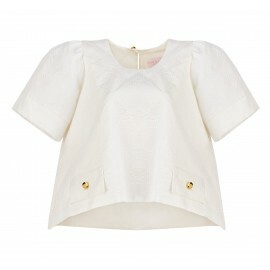 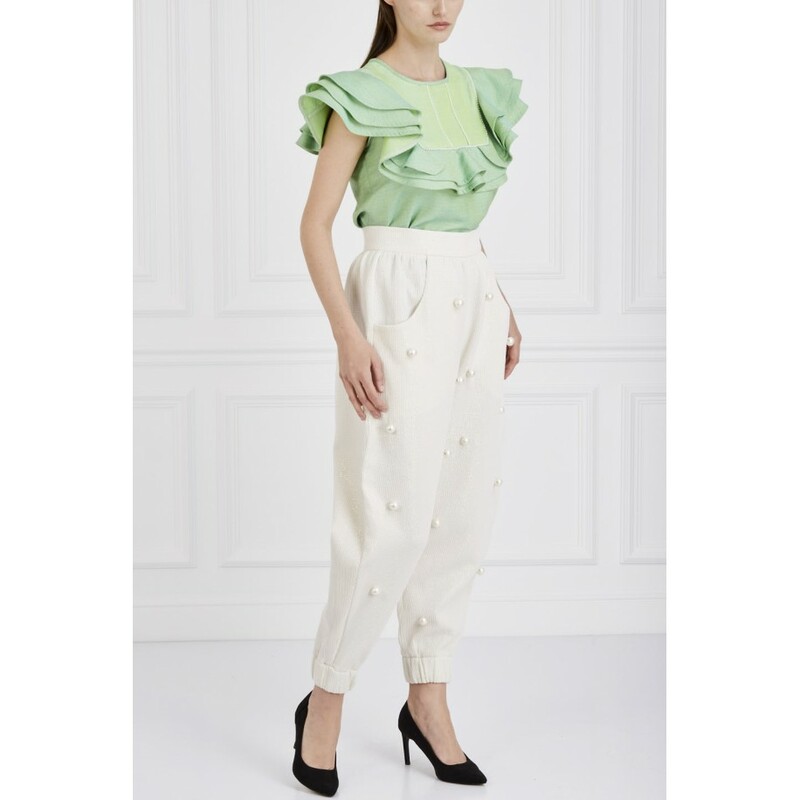 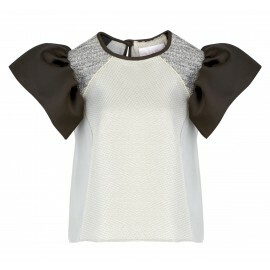 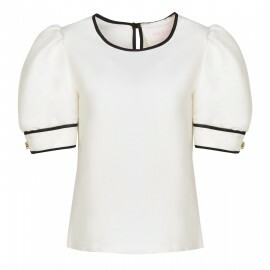 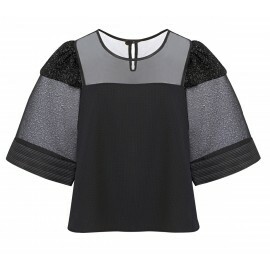 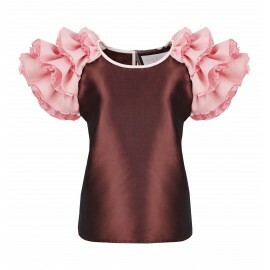 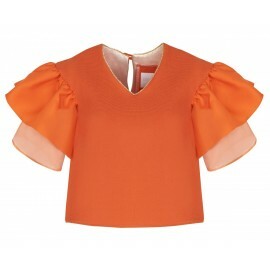 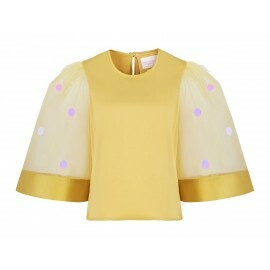 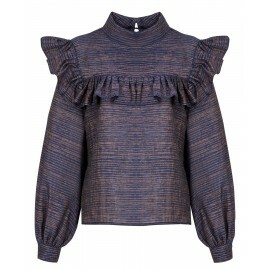 Layered flounces which imitate flower petals below the neckline and on shoulders add charm and lightness to the blouse.